The past few years have been uncertain times for the press in Hong Kong. Ousted Ming Pao editor Kevin Lau was the victim of a brutal, orchestrated knife attack committed in broad daylight in February last year, prompting a crescendo of defiance from local media, and Next Media, described as the only news organization still resisting self-censorship, has faced increasing intimidation. South China Morning Post, which now monopolizes the English language press, has also faced repeated accusations of self-censorship and the axing staff who don't toe the new editorial line. Famously the most free-wheeling media scene in Asia, critical voices are increasingly being muffled and marginalized - both through violence and intimidation as well as economic pressure, as China leans on enterprises with mainland business interests to pull advertising from publications critical of the SAR and central governments. Ranked the 18th freest press environment in the world in 2002, Hong Kong has since nose dived down to 83rd. Nevertheless, even if this island of free expression at the doorstep of the world's worst jailer of journalists is indeed in its dying days, it certainly isn't going down easy. Founded by British multimedia journalist Tom Grundy (the man behind the popular Hong Wrong blog), Hong Kong Free Press launches this June. It describes itself as "a new, English language news source seeking to unite critical voices and provide quality analysis and credible reporting on local and national affairs." As well as providing more plurality in the local media landscape, HKFP also intends to bridge the temporal and content gap between Chinese and English-language media in the territory. In their fundraising campaign to finance the initial start-up period, HKFP shattered records at FringeBacker by hitting their HKD19,350 goal in under two days. Today, HKFP has set a new target of HKD500,000 to sustain the multimedia platform through its first year in operation. HKFP will be run as a not-for-profit business, paying its reporters in line with other local media but retaining it's independence through a variety of revenue streams, not beholden to the interests of big advertisers or powerful patrons. If you also believe that Hong Kong needs a new English language news source, become a part of the solution by visiting their FringeBacker campaign page and helping out. 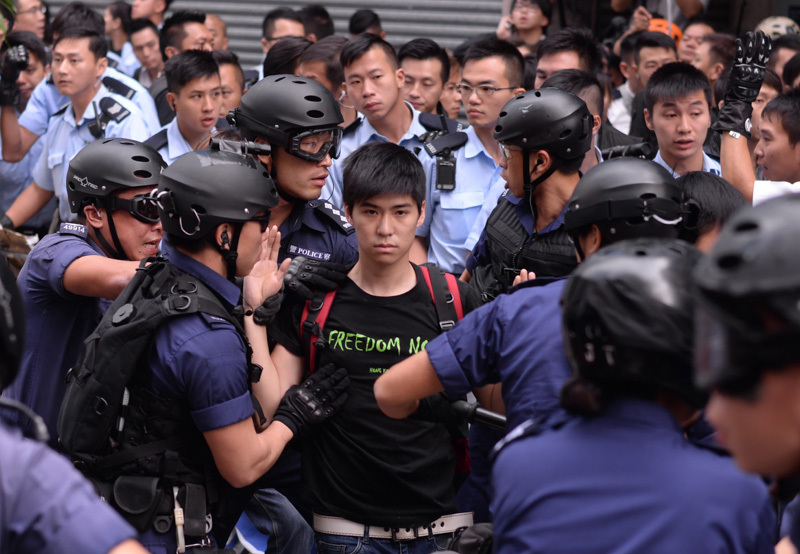 Hong Kong's most iconic photos of 2014. 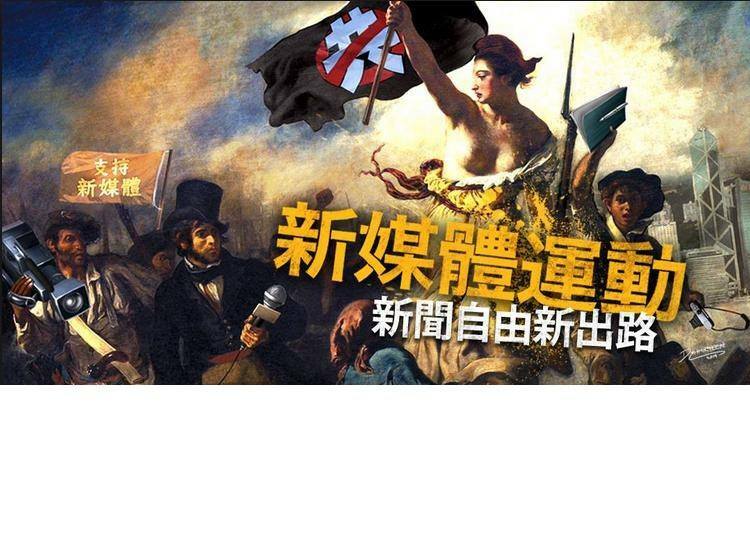 Popular Hong Kong news site House News suddenly shut down yesterday, disappointing, saddening and even frightening many. The president of the World Association of Newspapers and News Publishers today announced that he is concerned over the declining freedom of press in Hong Kong. Foreign journalists have raised concerns over freedom of the press in Hong Kong and warned of "chilling effects" after high profile attacks on members of the city's media. A new anonymous messaging app which allows users to go online even without reception, has rocketed in popularity, and provided a platform for Taiwanese protests about a China trade pact.